Former slave who became an abolitionist author and speaker. 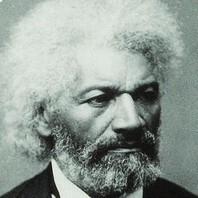 He detailed his remarkable life in his famous 1845 autobiography: Narrative of the Life of Frederick Douglass, an American Slave. Those who profess to favor freedom, and yet deprecate agitation, are men who want crops without plowing up the ground. They want rain without thunder and lightning. They want the ocean without the awful roar of its waters. This struggle may be a moral one; or it may be a physical one; or it may be both moral and physical; but it must be a struggle! Power concedes nothing without a demand. It never did, and it never will. Find out just what people will submit to, and you have found out the exact amount of injustice and wrong which will be imposed upon them; and these will continue until they are resisted with either rods or blows, or with both. The limits of tyrants are prescribed by the endurance of those whom they oppress. If there is no struggle, there is no progress. Those who profess to favour freedom, and yet deprecate agitation, are people who want rain without thunder and lightning. They want the ocean without the roar of its many waters. Power concedes nothing without a demand. It never did and it never will. You have seen how a man was made a slave; you shall see how a slave was made a man. Where justice is denied, where poverty is enforced, where ignorance prevails, and where any one class is made to feel that society is in an organized conspiracy to opress, rob, and degrade them, neither persons nor property will be safe.